Choose from a selection of 8 holiday rentals in Montecorice. Use the search form to the left to filter the results and pick your choice of self catering accommodation in Montecorice. We have a good selection of holiday apartments in Montecorice perfect for family, single, romantic and group holidays. You may prefer to take a look at our listed holiday villas in Montecorice or holiday apartments in Montecorice. Find your holiday homes by a specific type using the property type drop down in the filter. Filter the holiday homes in Montecorice by a specific area using the area list above. Holiday house with pool on the coast of Cilento, only 3.5 km from the center of San Marco. This beautiful, large villa with panoramic view located at 1 km ca. 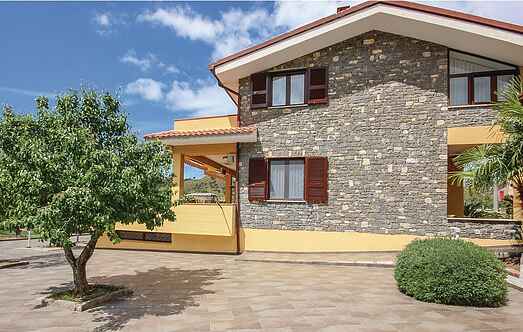 This three bedroom, three bathroom Italian holiday home has been renovated to a lovely spec. This rustic house is located on the beautiful hills of Cilento, 4 km from Acciaroli and only 1 km from the wonderful sea of Agnone (Salerno). Holiday apartment in a spectacular location near the small town of Montecorice. Simple but functionally furnished apartment in San Nicola a Mare, a small hamlet of Montecorice on the beautiful Cilento coast, approximately 8 km from Acciarol. This imposing country house is located in a stunning position on a hillside in Cilento's countryside.